To keep assess actual timelines and things on track, I recommend BaseCamp and DeskAway. Both have a free trial period, and are cloud-based solutions that you can use either immediately. Allocate tasks to your whole team, check on the status in real time and keep track of a lot more in order to avoid an #entrepreneurfail. These are all baby steps to delivering on your launch date. Have you met all your deadlines? 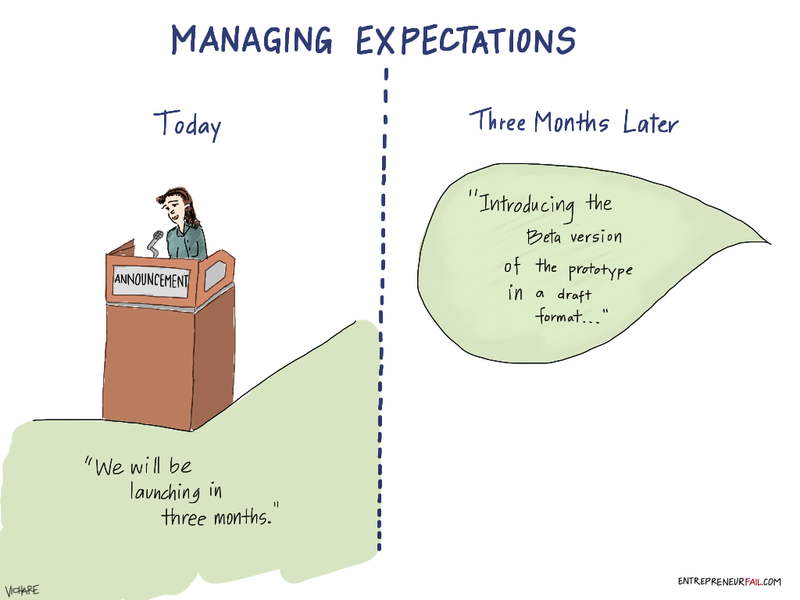 How did you manage expectations? Tell us about it in the comments below. Want to see more comics like this? Check out www.entrepreneurfail.com.